7 Simple Activities for Rainy Days! Children are selfish. They live their little lives like we would often like to. Do what you want, when you want, how you want. Something breaks? Oh well. Decide to quit halfway through? Cool, let’s leave that for mom to finish. Want something someone else has? Grab it and RUN. Literally, run. It is our job, as boring, rule-following adults, to teach our children to tone it down a notch, basically. When my first daughter was 18-24 months old, she really struggled with independent play. She wanted us involved in any and every activity, which was really tiring to say the least. Her go-to “play” was just to hand us everything. EVERYTHING! We made a fair amount of headway before baby sister came along, and continued to learn to play on our own. But, now as baby sister is walking around, of course she wants to get her paws on anything and everything. However; what really took me by surprise was that my oldest now wants to takeover everything my youngest has! Shouldn’t it be the other way around?! My youngest will play on her own and find her own toys, and my oldest tramples in to “play with her” with the best intentions, but ends up taking over the activity. And thus began my curiosity on how others reinforce sharing. Then we toured my daughter’s preschool, a cute little Montessori school a town over. I was introduced to a new ideology on sharing, and loved how simple it was. When another child is playing with a toy or activity, it is theirs for as long as they want it. Once they put the toy back it’s up for grabs again! What?! This blew my mind a little bit. I was always raised with same-time sharing in mind. Share or no one plays with it. My favorite results from this Montessori method are that they A) allow a child to fully play with an activity without having to pause their imagination and B) they learn patience. Waiting is hard, even for adults! Understanding early on that waiting is kind and a valuable life skill is amazing. This is also easier to enforce with smaller children, because they don’t have to understand when they can and can’t take a toy from another child and you don’t have to wrestle it back from them and try to explain they are sharing. No positive associations with that word right there! My only hesitation with this method was, how do they learn to play together? If they are always waiting on a toy, WILL they play together? The answer is yes. I think that in the “waiting” and watching, the child playing with the toy first is allowed to shine and lead the playing. They create the rules for this short-term play and the second child adapts. In my experience at home, they always end up playing together, and if things start to go south the best method is distraction. Lead the other one to a new activity. My girls rarely battle over toys these days, so I think it’s a successful sharing practice! But as in most things in life, I always try to be open minded to trying new things. There is no black and white over here, we bend and stretch the rules to learn what works best for us. Watch their interactions first. Every child is different. Some will be content with the dynamic struck, even if one child is doing the majority of the playing. Let them try to work it out themselves. Aka, if it ain’t broke don’t fix it! If you notice a power struggle, step in and try a few of these tips. Lead by example. Share your food with them. Share the TV. Share books or magazines with your spouse. Sit on the floor and play with a toy, then share it with them. Let them know you are sharing and they are doing a good job sharing with you. When they can associate good feelings of being played with to the word “share” they are more likely to want to do it on their own. They now understand this is a good action. Decide which toys are NOT to be shared. Whenever we have playdates we put our favorite bear and baby doll in our room. We know that those are special toys that we have decided that we do not need to share with others. Setting those aside also lets my toddler know that all other toys ARE to be shared. Between siblings, my oldest knows that toys in the living room can be shared and if she doesn’t want her sister to play with her favorite bear or baby doll then they should be left on her bed when she’s not playing with them. Personally, I believe that letting children have a special toy or two that they don’t have to share is important. If a battle ensues, distract. Don’t try to over-explain sharing to them. They likely will be so focused on what they want to do in that moment that you might as well be speaking Chinese. Just allow the child to continue playing with their activity, and take the other one over to a new activity. If you have any tips for us, please share! Especially for older kids as we are swimming in new waters every single day! What’s the saying? Once you get used to it, it changes? YEP! Thank you for reading & keep us posted on what works for you! Your tribe, your crew, or your people, they can be called a number of different things. They are the people who have celebrated your highs and consoled you during your lows. They are the people who you can rely on no matter what. Having a rough day? Give them a call! Have exciting news? They would love to celebrate with you. They are the people you run to no matter what! They become part of your family. As military spouses, our tribes change throughout the years, but the bonds we create never break. We rely a lot on our tribe, whether its during the inevitable deployment curse, celebrating a new life, or keeping each other sane while our spouses are away. Our tribe is who keeps us going and our heads on straight. We started out just the 3 of us, and now there are 9. Watching your tribe grow is an amazing thing! It’s kind oflike dating all over again! You take your littles to the park or library in search of finding someone who you clicks with you and your kiddos. Once you find a momma who you think would get along with you, invite them on a playdate. During the playdate you ask about each other’s interests and get to know each other. Seriously, it’s mom dating! After your first playdate, it’s a waiting game to see if you hear back from one another. Is it always mom friend at first playdate? No, and that’s okay. Nor every mom is going to click with you and vise versa. You want to find moms with similar interests as you. Perhaps you have seen the same moms at the park, church, or library story time. Finding someone who enjoys running 5k’s and doing yoga might not be the lifestyle you choose to live. Maybe a mom who rocks yoga pants (yes, they are considered pants!) and drinks wine on playdates is more your speed. If you are lucky, your child will make new friends with a certain kid who’s mom you have been thinking about talking to. You know, that mom who seems to be just like you… Thank you for the little ice breaker, bud! You will have to put yourself out there. Personally, as an introvert and homebody, this was where I struggled the most. You can’t stay home and assume someone is going to come knocking on your door for a playdate. Not only is this unlikely, but a little creepy! Venture outside of your home, even if that means the community park. If you have a friend who will join you, bring them along. I’ve noticed it’s easier to be social when you have someone you know. Yes, our tribe is crazy & we wouldn’t have it any other way. Once you start growing your tribe, continue to put forth effort into your friendship. Be their support system, offer to help them when they are in need, and be an ear when they need someone to talk to. The more you put into your friendship the more it will grow and strengthen. Your tribe isn’t just for you either. Watching your children make those special life time friends is something money cant buy. When they wake up first thing in the morning asking to play with their best friend, who’s mom is also your best friend… BEST THING IS THE WORLD! So, go out and find your tribe. If you already have found them, thank them for all that they do! Continue to grow those friendships! This month I started a gratitude journal, part of our Mindful March journey to focus on self-care, and I thought about all the things I am grateful for: my kids, my husband, my health, their health, my house, my van that can cart us around, etc….and as that list got longer and less obvious, adding things like, “Learning that my daughter loves when the wind blows her hair when we play outside,” I realized what I am most grateful for is normal days. It’s really easy to get caught up in things you wish for. And by no means am I saying you shouldn’t dream big. I often think about trips I’d like to take, a future career I’d like to have, or what alternate-universe me would be doing right now, like fighting crime as the world’s most elusive spy. Not possible in this universe, since I can’t cross a room without knocking something over, but you know, maybe in another one! And sometimes, as all mothers surely do, I long for the days before children where I had seemingly endless hours of the day. After navigating life with two kids for about 9 months or so, my husband asked me, “What did you do with your day before kids when we moved here?” because I left my full-time job to follow his. My honest answer, after a LONG pause…”I don’t even know!” Dreaming big and daydreaming are healthy. But what isn’t healthy is comparing yourself to others. Your marriage, your kids, your wardrobe. Comparison is absolutely the thief of joy, because it often robs our confidence in the lives we have built. Last night I was looking back at my old photos, as I often do, and I realized what an eventful year we have had. We brought a baby into this world a few days before the New Year, so everything in 2018 was her first. We celebrated career achievements, we bought a camper, we traveled to the Outer Banks (a bucket list item for this North Carolina-native who had never been), we took our girls to see mountains for the first time and saw the sun rise on the highest peak east of the Mississippi, we had ALL the holidays together. We had quite the eventful year. Now in 2019, we will see another deployment, we have zero family trips booked, and I am looking wistfully at those past photos filled with adventure. I see friends decorating nurseries, having babies, running marathons, laying in a hammock on a tropical island, and it’s really easy to let that thief sneak in. But here’s were I remind myself how very much I LOVE NORMAL DAYS. On a normal day, no one is sick. Everyone is mostly happy. A few tears are shed over sharing a toy or the dog eating our animal cracker. We have dance parties. We laugh over a movie. We walk outside and pick flowers and talk about birds. We get up on our tippy toes to check the mail. We eat meals together. We argue about when to get out of the bath. We kiss goodnight and read stories. We may not dip our toes in crystal blue waters or hug Mickey Mouse while watching fireworks, but you know what? The adventures we grow nostalgic for have shaped who we are today, and the moments we wish for just give us more of an excuse to dream big and make them happen. But today, normal is amazing. On days when we end up in the ER, we wish for normal. The first day of deployment when we wake up and realize we have many more months of waking up alone before he comes back, we wish for normal. When we hear someone we love has departed this Earth, we wish for normal. Because normal is comfortingly beautiful. Normal is under-appreciated. Normal is spectacular in disguise. I am extremely, ecstatically thankful for normal days. There’s no where my kiddos would rather be than outside; running, screaming, and exploring. They would spend the entire day outside if they could, and sometimes we do! However, there are days when we just can’t do outside. It’s too hot, it’s raining, or maybe it’s too cold, which doesn’t happen often here in North Carolina. Regardless of the reason, all of their bottled up energy needs somewhere to go, and I’d prefer it not be them jumping from couch to couch. Of course, on these rainy days their old toys no longer interest them and they are all over the place. Thankfully there are plenty of fun, easy, and quick to put together activities to keep your little ones busy right inside your home. Sensory bins are a great way to let your little ones explore different textures, colors, and concepts. Everything is contained in a big plastic tub, or so it’s supposed to be, which makes for easy clean up! Find a plastic tub you have laying around the house and fill it with whatever interests your child. We currently LOVE construction of any kind. So, off I went to the garage, got some soil and rocks and ta-da! A sensory bin was created! Some other fun themes are: holidays, individual colors, and seasons. Have a glass door or window? I’m sure you do! Well guess what, you also have a dry erase board. Grab some dry erase markers and let your little one draw a picture. Make sure you remind them markers are ONLY for the door or window, otherwise you may end up with a lovely Picasso-esque mural adorning your walls. When drawing their own picture loses your littles interest, draw shapes on the door, then begin naming the shapes, while having them erase or circle the shape you named. You can do this with anything: letters, numbers, shapes, sight words, etc you name it! We have been focusing on our numbers, letters, and shapes for a while. Over time we have narrowed down some of our favorite games. Do you have an old cookie sheet you no longer use, alphabet or number magnets, and a sharpie? If you do, you have a new game at your fingertips. Take a sharpie, write down the alphabet (or numbers) and have your kiddo match them up! How easy is that?! If you don’t have magnets, grab a piece of paper and some paint! Write the alphabet or numbers down and have your kiddo trace them with paint. Both activities are simple to put together and will keep your little ones busy. Cooking together doesn’t have to be elaborate! Have them help you make breakfast, or lunch. Measuring, dumping, and stirring help build fine motor skills, it also builds memories together. Bonus, my toddler also seems to eat more of the food when he helps! 5. Painters Tape Race Track! Cranes, trains, and automobiles are just a few of our favorite things. With that being said, we have a TON of vehicles throughout our house. These vehicles sometimes need to place to go (other than under my feet!). So, we grabbed some painters tape and created a race track! But, what’s a race track without some tunnels and bridges?! Thank you solo cups! The tracks don’t have to stay on the ground. Up the walls, over the couches, and down the kitchen drawers are all fun places for their cars to travel. Not literally. But when all your littles want to do is venture outside, you can still let them scope it out from the sidelines. Talk about the weather, look for wildlife with a pair of binoculars, grab a bird book and identify birds at the feeder, watch and learn about the types of clouds. If you live in a larger city or busy neighborhood, people watch! These little window-watching conversations will introduce new fun, and even new vocabulary. 7. A timeless classic…Build a Fort! What kid doesn’t love a fort? They are ripping your house apart anyway, might as well do it intentionally! Gather all the pillows, blankets, cushions and get to work. Have flashlights or lanterns? Great! Stuffed animal role players? Awesome! Forts aren’t an everyday occurrence over here, so making a rainy day extra special with this family activity is always a blast. Leave them up all day, eat lunch in there, watch a movie by lantern-light. It only takes a slight departure from “normal” for kids to think something is magical. Choose one or a few of these rainy day activities for your little one and go have fun! We danced around the idea of a blog for a couple months before finally deciding to take advantage of a kid-free Sunday morning and meet for coffee. On said day, it was pouring. Usually this would be a plan-canceler for us, a reason to stay in. A footnote in our friendship agreement of sorts. But today we braved the weather (because KID FREE) and showed up to Starbucks wearing almost identical outfits….jeans, white sweater, boots. We then ordered lattes and proceeded to talk about everything but our future blog for over an hour. It’s very cool how people meet. Kind of a weird statement, I know, but it all comes back to that, right? When you met your husband, when you first saw your child, when you became best friends. It’s nostalgic. It’s epic. It’s the origin story. Maybe it’s a classic meet cute or maybe it was a bit rocky, but it’s memorable nonetheless. I once read that the average person meets 10,000 people in their lifetime. As stay at home moms, I feel like that number could be a lot less. Maybe that is why we are all about community events, playgroups, coffee dates, etc. Especially as military families when the worthwhile friends we do manage to meet are often renting a moving truck far before we are ready to see them go. That’s why it feels like winning the lottery when you not only find a friend, but one who gets you so well. 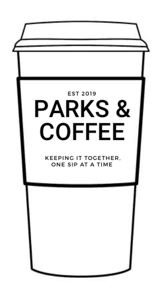 We met at a park on an unexceptional late-spring day, where we both separately decided to grab coffee with our husbands and take our 1 year olds out to burn some energy. As I remember it, both of our children gravitated away from the playground equipment and towards the forbidden body of water that ran surreptitiously alongside the small park in coastal North Carolina. We giggled over this common toddler obsession, made a Moana joke (duh), and struck up easy conversation. It wasn’t until a few conversations later that we realized we had both driven 15 minutes away from our homes on a weekend morning to go to Dunkin Donuts of all places, both passing other coffee shops along the way, and then taking our toddlers to a park none of us have ever been to before that’s in the town we live in. Plus our kids had basically the same due date. So there, that’s our meet cute. Over a year later, we both welcomed new baby girls who are also close in age and commiserate daily on the whoas of motherhood. Our toddlers even celebrated their 2nd birthdays together. While I feel like we are SO alike, we are also very different. We are both military spouses and SAHMs. Kate is organized, talented at DIY, and has a flare for interior design. She has a knack for giving her kids amazing educational opportunities and making their days so unique and special. She likes to say that her son’s social calendar is more happening than hers! Elizabeth has an eye for photography and an affinity for nature and adventure. 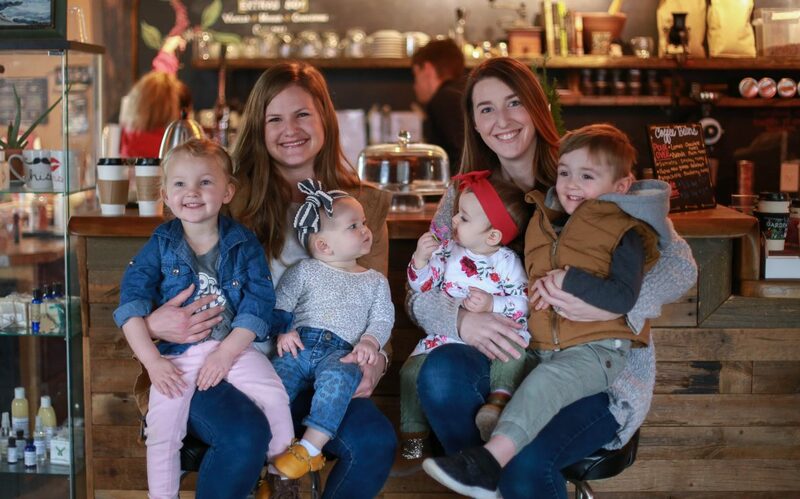 She and her husband love to take their two littles on road trips and camping trips that may seem a bit overzealous with two young kids, but oftentimes the best memories come from the chaos. That’s us in a nutshell. I have a feeling you’ll learn a lot more about us later! So why start a blog together? I guess it’s because we both impress each other as moms. We always love what the other is up to and it’s so easy to bounce ideas off each other. When one feels like they are lacking in a certain area, the other has a great suggestion (or at the very least, an empathetic ear.) I have found that sometimes as a mother you just need to know that what you are doing is okay. Sometimes you need a reminder that it does, in fact, take a village. And sometimes that “village” can simply be the words of like-minded moms in a blog about staying sane and taking motherhood one sip at a time. So we hope you will join us on our journey. We welcome comments, inspiration, suggestions, & support from our village at anytime!